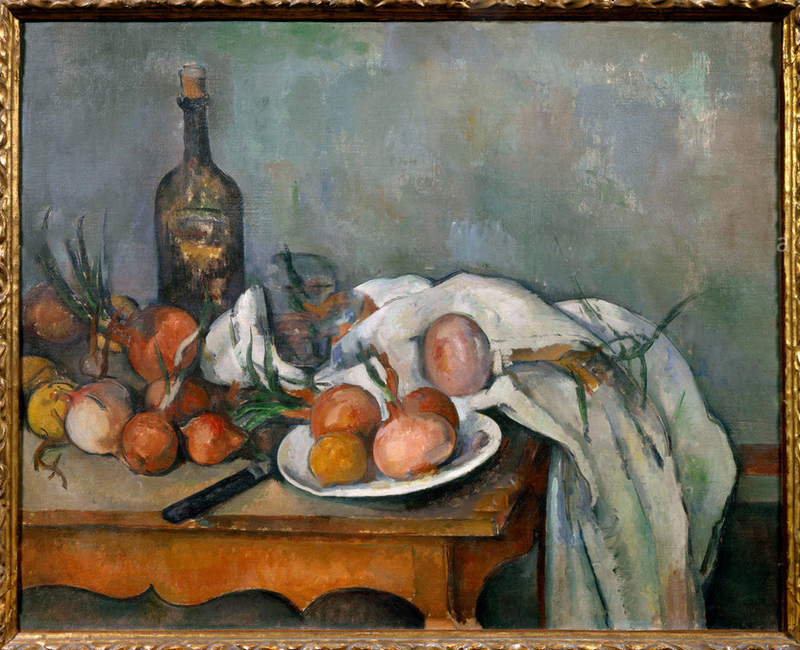 Onions and Bottle (1895-1900), Paul Cezanne. It is the background colouring that draws me in and holds me – those effortless oscillations between emerald, mauve and lilac; his brush dispensing with the remains of his palette so softly, with such timeless touch. And the slight tilt of the wine bottle, its soft and sharp edging, solidified into the eternal shape of a song.